If there's one thing that I missed the most about our Japan trip. It would definitely be the FOOD. The fact that every single meal just leaves us so happy and satisfied. There was definitely no bad meal in Japan and even something as simple as the rice is worth swooning about. During one of those nights strolling along Paul's favorite district -- Akihabara, we chanced upon a small restaurant that's packed to the brim. Well, okay it's a really small restaurant but every single seat was taken by Japanese office men busy eating what looks like a mountain of rice covered in Japanese curry. Ooh lala! 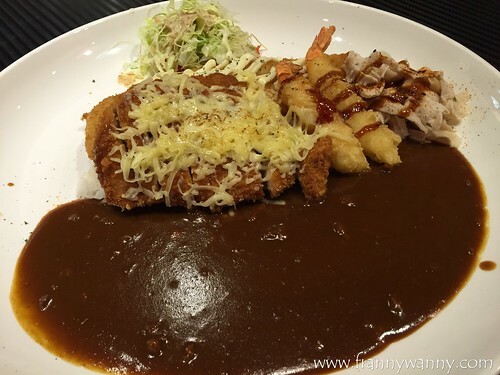 We both love Japanese curry and so we patiently queued up. Luckily, turn over was so quick that in less than 10 minutes, we found ourselves comfortably seated at the far end of the restaurant while watching the chefs prepare our food. There's really something about Japanese curry that's so comforting and addicting. The mild spicy note, the totally umami flavor profile and the fact that it comes with a generous serving of delicious Japanese rice and your choice of meat toppings. 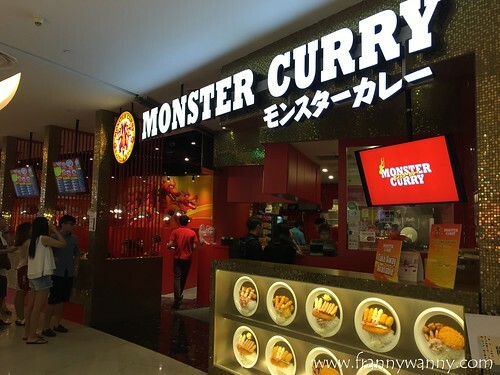 It's a good thing that we got Monster Curry in VivoCity which has been our go-to place whenever the craving comes around. We first tried this place on Valentine's Day and we've been going back there ever since. I know.. we're such an oldie couple totally ditching the romantic, dimly-lit, fine dining dinner places for one that serves...rice. Bwahaha! Our favorite choice has always been the Combo Curry (S$25) as one order is definitely good for sharing. That is, unless, you're feeling really famish that day then yes, you can have it all to yourself. This is a huge plate of Japanese Rice covered with Japanese Curry (zero spicy level) and a good combination of fried fish, ebi fry, pork tonkatsu and thinly-sliced pork shabu shabu. We loved it! Look how big the plate was compared to Paul's iPhone 6. I wasn't kidding when I said that it was ginormous! It's interesting that despite having curry all over our plate, you can still taste the individual flavor of the meat toppings. My favorite has always been the Pork Shabu Shabu as it's so tender and it goes so well with the rice and curry. This is the best comfort dish for me here in Singapore. There's also an option to order additional items such as more cheese, more rice (!!) or an additional omelette. I think I'll do that next time. 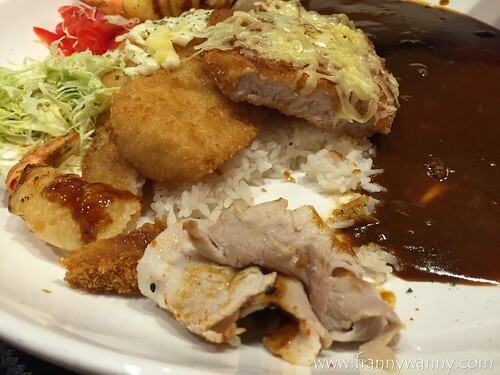 Here's an interesting trivia, as I was missing the curry house that we visited in Tokyo, I researched on it hoping that they have an outlet here in Singapore and apparently they did sometime back. Sadly, they have closed down all their outlets and these were converted to... Monster Curry! I'm not sure if that means that it's owned by the same owners or it was just purely coincidental. Anyway, I'm just glad to have the chance to satisfy my Japanese curry craving anytime I want. 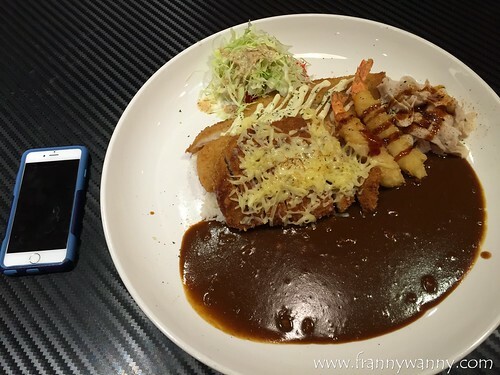 Check out Monster Curry at 1 Harbourfront Walk, VivoCity, 02-126 Singapore 098585. Try Washoku Goen--it's super sulit!